• Łódź has its own independent market and needs and does not have a direct connection with any European hub. • Higher-yield traffic generated by the EU fonctionnaires (officials) from the Łódź region can be expected if frequency is high enough. • Constantly growing role of the Łódź region in European politics: 3 MEPs from Łódź in the European Parliament (2009-2014); Łódź Region Brussels Office; Regional Office of the Łódź Voivodship in Brussels; 2,100 Polish fonctionnaires in the EU institutions. 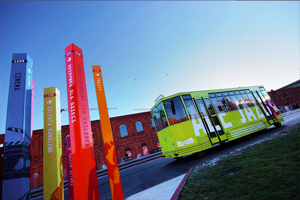 • Łódź has its own, independent market and needs and does not have a direct connection with any European hub. • Over 90% of business passengers from Łódź fly via Warsaw. • 3.7m potential passengers within LCJ catchment area. • Germany is third biggest foreign investor in Łódź with 35 large German companies located in the city, 4 of which are in the top 10, and 8 in the top 15. • Air freight opportunities due to cargo facilities at LCJ and its strategic location at the very heart of the Polish road and rail transport network. • Sound demographic and socio-economic factors: 6,900 Poles live in Kiev and many Ukrainian migrant workers live in Łódź. • 1,244 Polish companies registered in Ukraine. • Ukraine is Poland’s seventh export destination. • Poland is Ukraine’s 4th (export) and 5th (import) trade partner. • High volume of Ukrainian vendors and employees at the large retail and wholesale textile centre, e.g. "Ptak" just outside Łódź. 18,668 individual visa applications in 2008-2010 from "Ptak" alone. • Leisure traffic potential – Poland is Ukraine's 2nd most popular travel destinations. • Poland’s partner in hosting UEFA Euro 2012 football championships. • Sound socio-economic factor - France is Łódź's second-largest foreign investor (after the US). • 17 large French companies located in Łódź. 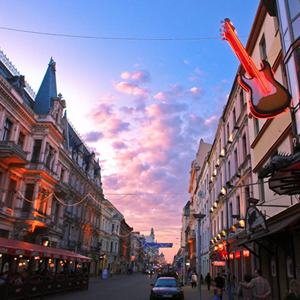 Paris received 9% of the total leisure traffic and 20% of the total business traffic from Łódź in the last 3 years. Sound socio-economic factor - France is Łódź’s second-largest foreign investor (after the US). 17 large French companies located in Łódź. Third most popular business travel destination from Łódź (after Germany and Italy). Strong migration and VFR factors - 200-250,000 Poles live in the L’ile de France (Paris region). Academic cooperation between universities in Łódź and Paris. • After Rome, Venice is the 2nd most visited Italian city by the passengers from Lodz region (11.3%). 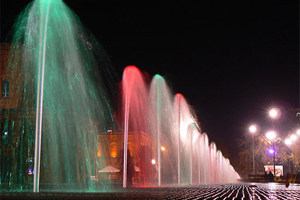 • Italy is Łódź’s sixth biggest investor with more than 30 large companies established in the city. 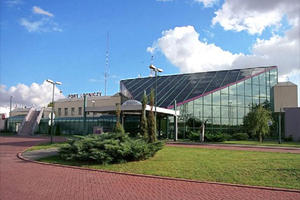 Located in the very centre of Poland, Łódź Airport offers viable opportunities on both a leisure and business front. While its catchment area extends to a population of 3.7 million, the region also boasts strong business links with Spain, Germany, Italy and France. 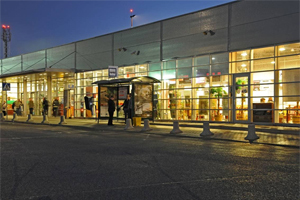 Łódź Airport offers access to a large, independent and underserved market of Poland’s third largest city, strategically located at the very heart of the country and its road and railway transport network. Łódź is dynamic and rapidly growing – its 760,000 inhabitants reflect 6.8% of the total population of Poland and produce 8.6% of the country’s GDP. Łódź has a sound industrial and academic base, successfully feeding new foreign investments. Łódź is renowned for its highly skilled medical, dental and beauty care centres. 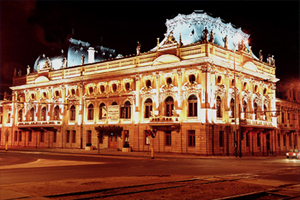 Serving Łódź provides a lot of opportunities with no fierce competition. 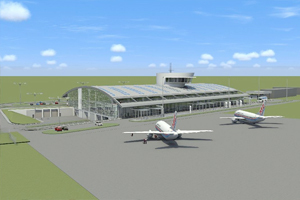 MOST MODERN TERMINAL IN POLAND TO BE LAUNCHED FOR WINTER 2011 SEASON. Łódź Airport offers various incentive schemes to airlines which start new routes and can also offer support in helping to build relationships with local busineses. Incentive schemes favouring carriers according to passenger volume and number of new routes opened. Flexible approach to marketing support. 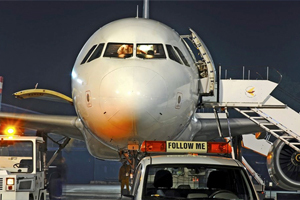 Support in building carrier relationships with the local public and business institutions due to the airport’s unique ownership structure entirely composed of the City and the Łódź Region. 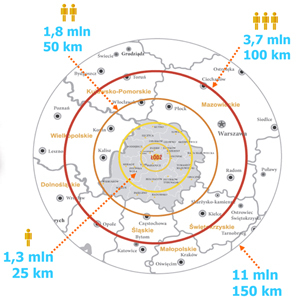 While the city of Łódź has a population of 760,000, the wider-reaching region has a further 3 million inhabitants, extending the airport’s catchment area to in excess of 3.7 million. 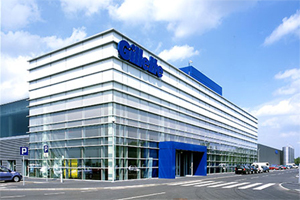 A number of global manufacturing companies - including the likes of Gillette, Fujitsu and DHL - are based within the airport’s catchment area, highlighting the viability of air freight services from Łódź. Industry sectors which have recently secured projects in the Łódź region with a potential need for air freight include BPO, white goods and logistics. A number of global companies with a potential need for air freight are based in the region, including: ABB, Amcor Flexibles, RRDonnelly, Bosal, Gillette, Hutchinson, Flextronics, Fujitsu, IKEA, Foxconn, HSV, Mecalit, Isopak, Indesit, DHL, Panattoni. 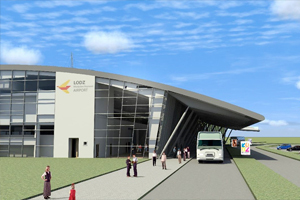 A third passenger terminal with a capacity of 3 million passengers is currently under construction at Łódź Airport and is scheduled to be complete during 2011. A parallel taxiway and rapid exit way are also set to be finished next year, while a new fuel station will decrease fuel costs for airlines serving the airport. Łódź Airport is located within the City of Łódź boundaries, only 6km from the city centre. Excellent bus connection between the airport, the city and the railway station. Łódź Airport is in the very centre of Poland and will soon be at the heart of the Polish motorway network with the additional access provided by its own direct railway link (due 2012). Runway: RWY 07/25, 2500 x 45 m, ILS/DME cat I, 3 TWY’s, PAPI. Fire & Rescue: RFF Cat. 7/8. Operating hours: H16 (07:00-23:00) – 24/7 on request. Two terminals: domestic/GA and international, new retail duty free zone. Not slot coordinated, no restrictions. Experience in handling non-EU flights. Łódź will soon be at the centre of the redeveloped Polish motorway network while a direct railway link to Łódź Airport is also set to become operational in 2012. Airport’s own fuel station, due in 2012, will significantly decrease the fuel costs for the airlines. Infrastructure of Łódź Airport allows it to handle wide variety of aircrafts, from small code “A” aircraft, through B737, A320, up to B767. Freight: newly established cargo facilities are ready to operate (cargo warehouse with yearly throughput of 10,000 tonnes). 35 Gen. S. Maczka St.